PFC's TFIC is an intensive 5-day program designed to impart modern handgun and carbine instruction to already proficient operators. TFIC exemplifies the core of PFC doctrine with a graduation standard that requires more than any other state, local, military, federal or commercial firearms certification. Students must successfully pass 6 examinations scoring no lower than 100% on 1 and no lower than 90% on the remaining 5; this is not a "gentlemen’s course." 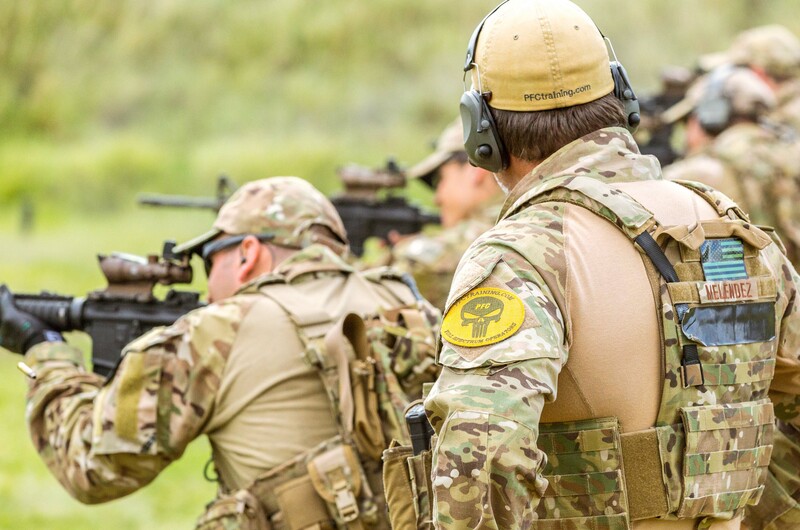 Training includes safety, instructor development, risk analysis, remediation, development of live fire evolutions, as well as progressive operation of the handgun and carbine systems during tactical encounters. Evaluations consist of a comprehensive written exam, dry fire Limited Scope Performance Test (LSPT), Live Fire Skills Test (LFST), classroom presentation, student-led live fire evolution, and construction of a hazard-mitigating Risk Analysis Tool. Graduates will be able to safely instruct students in handgun and carbine tactical fundamentals as well as develop and run essential live fire evolutions. As some material is of a sensitive nature, TFIC applicants are screened on a case-by-case basis. NOTE: TFIC is not a "how to shoot" course, and as such, students who lack superior skills upon arrival stand a very low chance of successfully completing the Live Fire Skills Test, which will only be administered a limited number of times. Registered applicants may request a copy of this skills test for practice prior to the course.